1. Aligns skin cells tighter, improving appearance of facial contours. 2. Inhibits tyrosinase activity, preventing formation of melanin and hence reduction in age spots. 3. Absorbs harmful UV rays, protects skin from UVB-induced erythema. Pigmented skin. Skin with signs of sagging. and as vehicles that help deliver other ingredients deeper into the skin. Ferulic Acid – King of Antioxidant! More powerful than Vitamin E, beta-carotene, and Vitamin C, it fights negative effects of various free radicals including ‘superoxide’, ‘hydroxyl radical’, and ‘nitric oxide’. 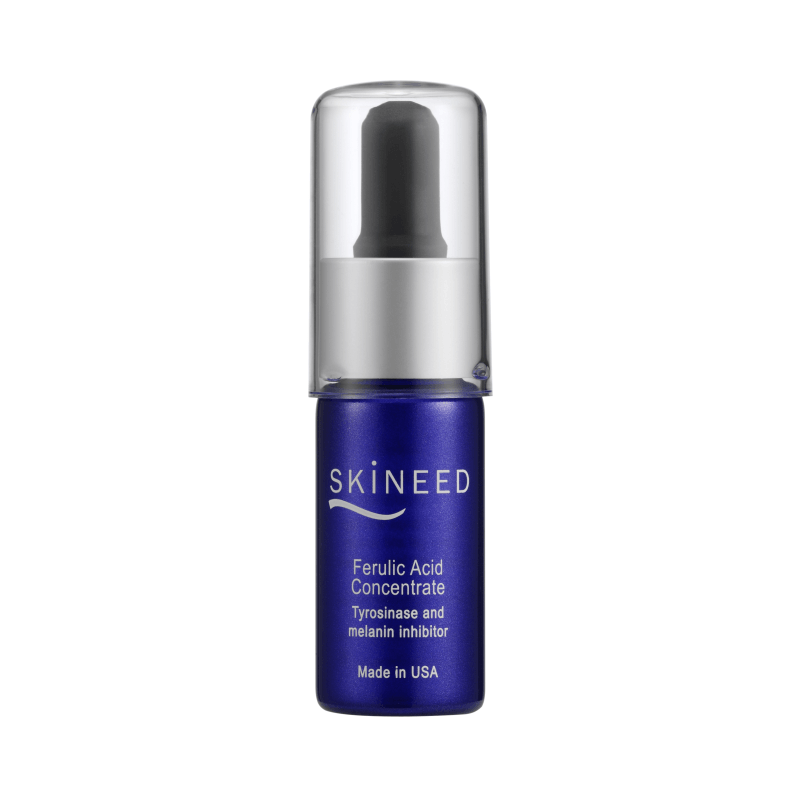 Free radicals are one of the biggest reasons why people see prematurely aging skin. PEG (polyethylene glycol), Ferulic Acid. Mix 2-3 drops with Skin Oasis gel and smooth evenly onto face and neck. Follow with peptide cream for enhanced results. Use with Vitamin C+E Concentrate for double whitening effect.